PITTSTON — The Greater Pittston YMCA wants to transform itself and needs your help. When you talk to officials at the YMCA, you get the sense of urgency to move the facility forward. At one time, if you wanted to exercise, the YMCA was just about the only game in town. That’s no longer the case in 2019 with workout establishments all around Pittston. One way for the downtown YMCA to raise money is through fundraising. 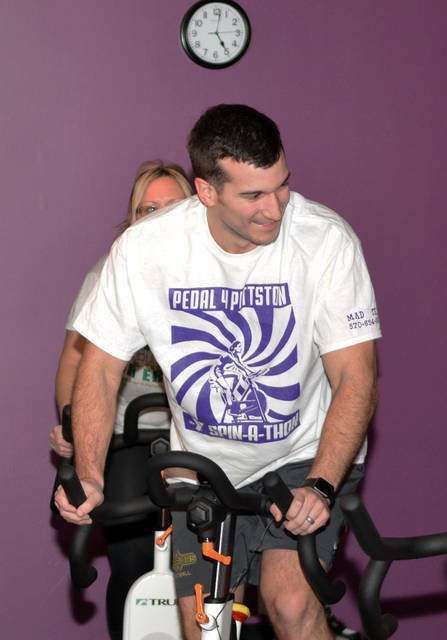 In the wee hours of Jan. 18, the Y held a Spin 4 Pittston spinning event not only to raise money, but to bring awareness to the area the Pittston Y is in need of funds to bring the 136-year-old agency up-to-date and modern. The Main Street facility has been in existence since 1983 after the previous building located on Broad Street was involved in a fire that led to its demolition. The current building houses a pool, basketball court and several workout areas, including a health and wellness fitness room, complete with treadmills, stationary bikes and free weights. 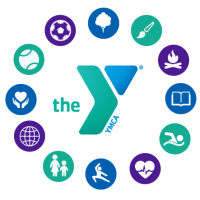 In addition, the Y offers group exercise classes, personal training, total body fitness program, aquatics programs for all ages, swimming lessons, sauna/steam rooms, childcare, playground, birthday parties, basketball leagues and spinning classes. 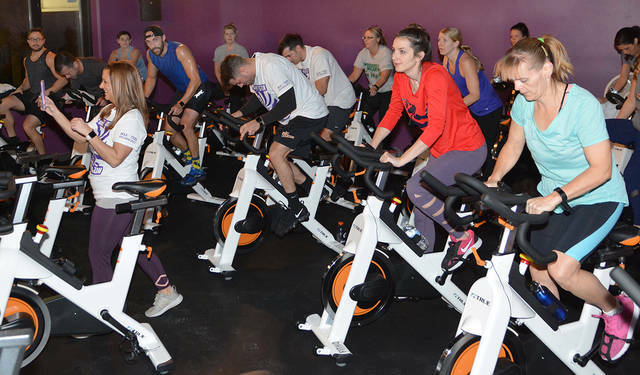 The spinning room has changed locations from the lower level to street level in a larger room that accommodates 25 spinning stationary bikes. 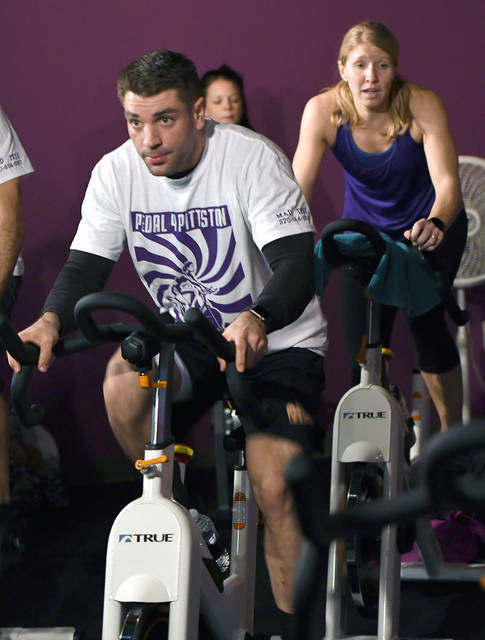 Joe Adonizio, of Pittston, a lifetime member of the Greater Pittston YMCA, took part in the Spin 4 Pittston, arriving at the Y at 4:30 a.m. Adonizio utilizes most of the Y’s services daily but does not usually attend spin classes. He took part for the entire event and, according to his smart watch, he burned 3,100 calories. “I think I ate 6,000 calories when I got home,” he quipped. 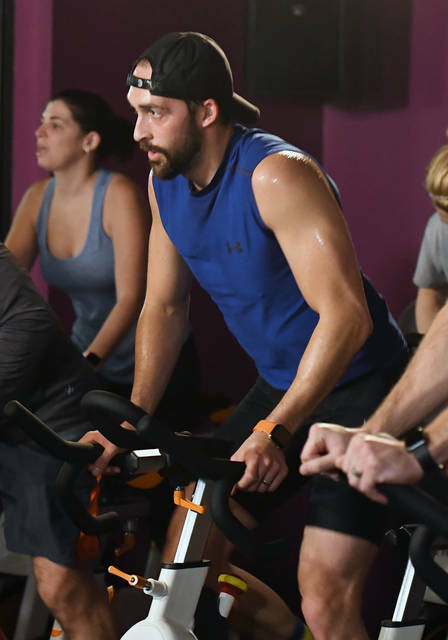 “It was a great workout and maybe I’ll do it (spin) once a week. “The people that go to the Y every day are still going to go everyday, but I think they are moving in the right direction with the upcoming improvements and could bring in new people,” Adonizio said. “I think they’re moving in the right direction. According to Widdick, in addition to the spinning room and equipment upgrade, new workout machines were purchased for the wellness fitness center. 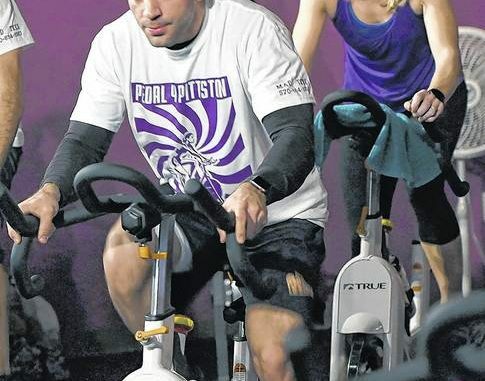 Greater Pittston YMCA board member Scott Verdine also took part in the Spin 4 Pittston. Verdine said the equipment in the wellness fitness center was the first priority, followed by the spinning room/equipment. Both of those objectives have been rectified. Verdine said the facility will be painted and updated as much as possible to make the YMCA a great experience for all members and guests in the future. Reach the Sunday Dispatch newsroom at 570-655-1418 or by email at sd@psdispatch.com.